Changing the World One Permaculture Farm at a Time. When I grow old I want to spend my days walking through acre upon acre of fully-established, mature food forest, picking fruit from trees I planted 40 years ago, watching branches slowly swaying in the gentle breeze and listening to birdsong. For my dream to become a reality, I will need huge amounts of trees – and not just any generic cultivar, which will last me only 20 years or so. I will need trees with the genetics that will allow them to thrive on my site without me begging and pleading them to flourish. In a nutshell, I want to be able to figure out what works effortlessly on my site and then run with it. This is the basis of restoration agriculture and the essence of permaculture principle working with nature instead of fighting against it. However, to start, I will need to perform my test runs and find the strongest trees suited for my soil, climate, pests and diseases. To achieve this, I am going to have to grow many of my own trees from seeds. Growing trees from seed is both fun and interesting. Seeds are cheap, and you can get as many free trees as you want or can handle. Growing from seeds is particularly important because you have the advantage of selecting the strongest seedlings, and there is always that chance of creating something new. Because only species ‘come true’ from seed, a plant grown from seeds gathered from your favourite apple cultivar is unlikely to have exactly the same characteristics as its parent. This is because seed-grown plants are almost always genetically different from their parents, but why is this the case? Well, most fruit bearing trees require cross-pollination to produce a crop. This means that the seeds in your favourite apple cultivar will be a genetic combination between the cultivar along with whichever pollen donor fertilised the flower. So basically, most apple trees grown from those seeds won’t be true to the parent’s characteristics, unless you are prepared to grow thousands of seedlings and find the offspring with most of the mother tree’s genetics – this now becomes a number game, but that’s how it’s done. 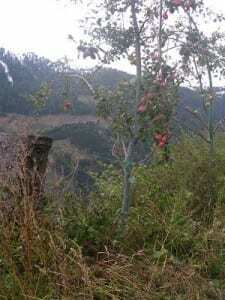 If, however, you want a predictable result from your cultivated apple trees, with the fruit being a certain size and with known average production rates, the only way to ensure this is by making a clone of that tree – this is achieved by grafting. So what should you grow from seeds? There are certain plants that when grown from seed will have fruits or nuts as good, or better, than the mother tree, meaning you don’t need to grow as many of them to achieve the desired result. Some examples include species of walnuts such as heartnut, and even apples such as the ‘Antanovka’ apple (yes, you heard that right!) are one of the varieties that will grow true from seed. Moreover, something I discovered when researching this subject is that if a tree is a self-pollinator, there is a good chance that you will probably get true to type seeds, providing there are no other pollinators around in your orchard…so that’s good to know! All of your N-fixing trees can be easily grown from seed – black locust, honey locust, seaberry, alder, the list goes on….and you’ll probably need a lot of those. Want to grow your favorite tree from a seed? If so, you need to know what are the ideal conditions for the seed to germinate. Download this free cheat sheet and I’ll show you exactly what to do. Ok, so now you know that it’s definitely worth growing trees from seeds and you even have a list of trees to start out with, now let’s see how you can grow all the trees you can handle. 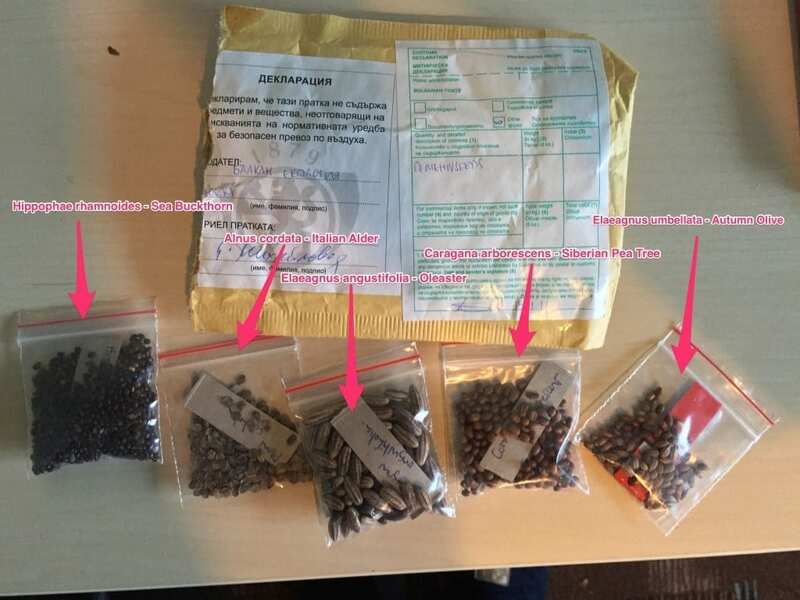 My recent order of N – fixing tree seeds. This is the easiest way. 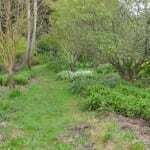 For example, in my area I found few naturalised varieties from which I took seeds. When you’re taking seeds, choose a plant that displays the characteristics you’re looking for. It is important to check for health and vigour, taking seeds from weak plant results in weak offspring. Collect your seeds after they’ve matured, generally in autumn, and then clean and dry them. Nuts and pods area easy to clean but many seeds in fleshy fruit need little more cleaning. In case you’re wondering ‘how to’ here is a great video to explain it. Luckily, seeds are easy to ship and can be delivered from anywhere in the world. Of course, there are certain restrictions and conditions that have to be met when importing seeds, so you might want to check first. Buying seeds can be tricky because you’ll need a reputable source. In my example, I ordered my seeds from Balkep, a nearby permaculture project in a similar climate. If the opportunity is available, you can do the same and find someone in your area/region/state from which to order. I also ordered my Antonovka apple seeds on eBay and received them surprisingly quickly. In a virtual world where everybody can leave feedback on a product, you can easily know who can be trusted on these sites. If you’re after a specific seed and you can’t find it online, look at The Seed Search Book, this is an excellent resource that offers a list of places where you can find any kind of seed imaginable. Once you got your seeds, store them in sealed containers in a cool and dry area until you’re ready to sow them. Just remember that annually, seed potency is reduced by 10-20%, so you’ll want to use them as soon as possible. 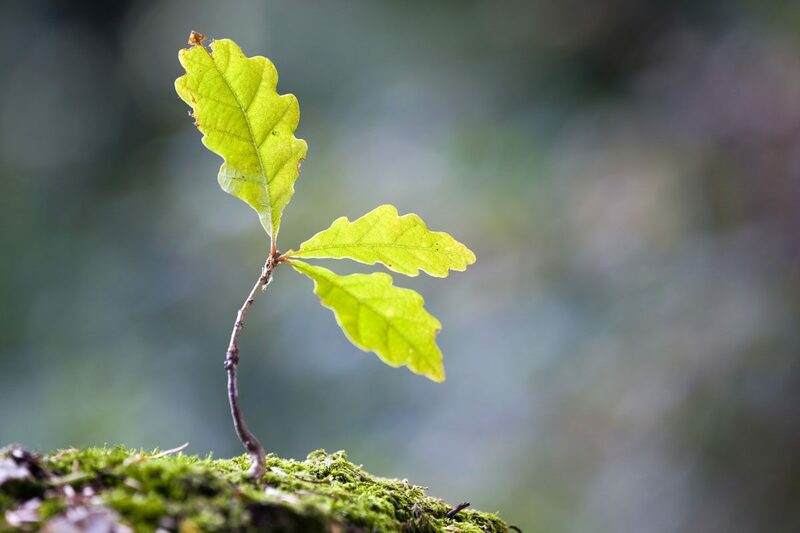 Generally speaking, there are two ways to grow tree seeds: the natural way, which often includes sowing the seeds outside in autumn, or through “assisted” germination, which is initially done indoors. The first thing you need to know is that seeds from many species of tree and shrub are dormant and require a period of stratification before they germinate. In short, stratification requires cold, moist conditions, although in some cases sometimes it’s preceded by a period of warm, moist ones (more about that later). However, for now, all you need to understand is that the seeds are expecting to go through a winter and germinate in the spring. Without these cold conditions, some seeds will not germinate at all. Sowing outside in the ground would obviously give these seeds the cold they require, but natural cold stratification usually results in the loss of many seeds due to rodents, unreliable cold winter conditions, and so on. On the other hand, growing indoor gives you the opportunity to control the environmental conditions and help to germinate many more seeds. Seeds have been sprouting into trees for an extremely long time without any help from humans. Just look at your local forest and it can help show you the way. With autumn planting, seeds are planted outside, sometimes directly in the ground, but more often in containers, before the temperatures fall below 8° C/45° F.
Just place this container outside in a sheltered area out of the wind, but somewhere it will receive direct sunlight. You don’t have to worry about the snow, the cold or the freezing conditions. This is exactly what your seeds need for their outer coating to soften and germinate in spring. 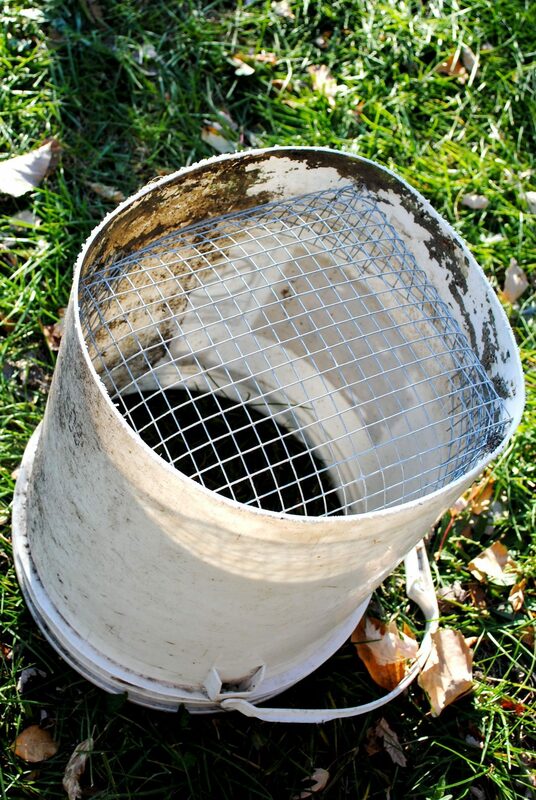 Cover the container with wire netting to protect the seedling from birds and animals. Check regularly and water if necessary. When your seedlings are large enough to handle, you can transplant then individually into cells, trays or small pots and take them into a greenhouse where you can protect them. Later, plant them on your site as described in step 6. This method is recommended for large seeds, for example chestnuts (Castanea spp. ), oaks (Quercus spp.) and the walnuts (Juglans spp.). However, such seeds don’t store very well and become less viable as they dry out. Sow them directly into deep containers where you can grow them for most of the season. You can sow some seeds, particularly those native to your area, outside in raised seedbeds. First, you’ll need a sheltered site, and, if needed, erect a windbreak or shading. It is helpful to build a wooden frame, a raised bed, to raise the soil level by 8inches/20cm to improve drainage. Make sure your seedbed is free of weeds. 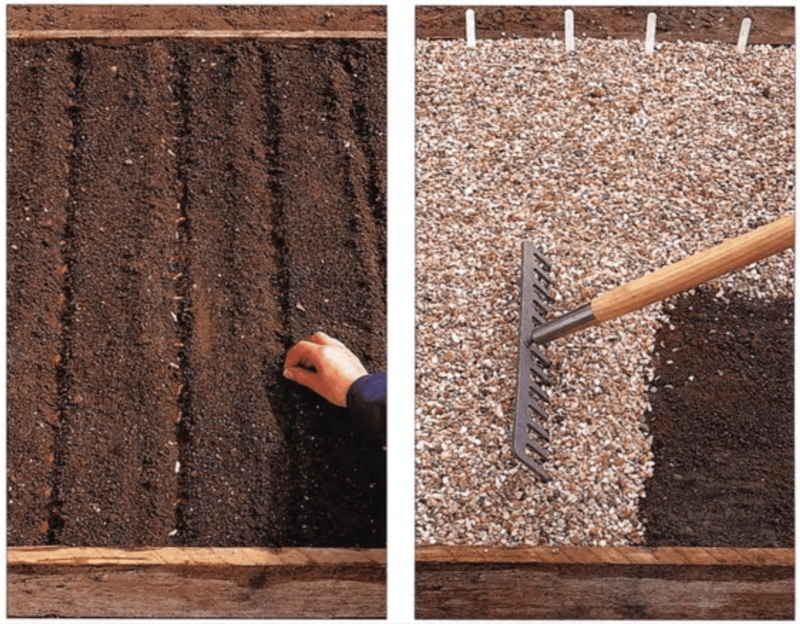 Seeds require fine tilth and moisture-retentive surface soil that consists of small, even particles. This fine tilth ensures good contact between seeds and soil in order that moisture can be absorbed for germination. At this stage, you can also incorporate well-rotted leaf mould, which helps because it contains mycorrhizae i.e. soil-born fungi that aids seedling growth and improves soil structure. Finally, always ensure some sort of protection from animals, and remember not to allow germinating seeds to dry out – cover with fleece or loose leaves to reduce the chance of heaving. Leave the seedling to grow for a while in the seedbed and transplant when ready on the site, as described in step 6. For more info about this method and others check AHS Plant Propagation book where they go into details about all aspects of plant propagation. Sepp Holzer’s direct seeded apple tree. His first step is to prepare the soil with soil-improving plants. For this purpose, he uses green manure plants. Once he has prepared the soil, he loosens it for sowing by allowing pigs to graze and dig the green manure plants, this prepares the area for fruit trees. His next stage in the process involves sowing the plants. This is performed by spreading and leaving pomace to ferment for about four to five weeks (pomace is the pulp left over from pressing fruit for juice or cider). During fermentation, germination inhibitors are broken down and trees begin to germinate. 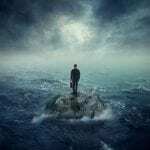 As the seeds start to sprout, many will die off, with only those best suited for the site surviving. Because trees grow in their intended location from the outset, they can naturally adapt themselves to the soil and climatic condition. Later on, Sepp selects only the best ones for grafting and transplants those growing too close to each other. There, that was pretty easy, huh? If you don’t need the advanced stuff you can stop reading here. 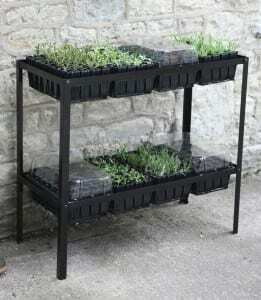 However, if you want to know how to grow even more seedlings, read on…. Although natural germination is a great way to start most tree seeds, you can often achieve better and more consistent results through “assisted” germination. 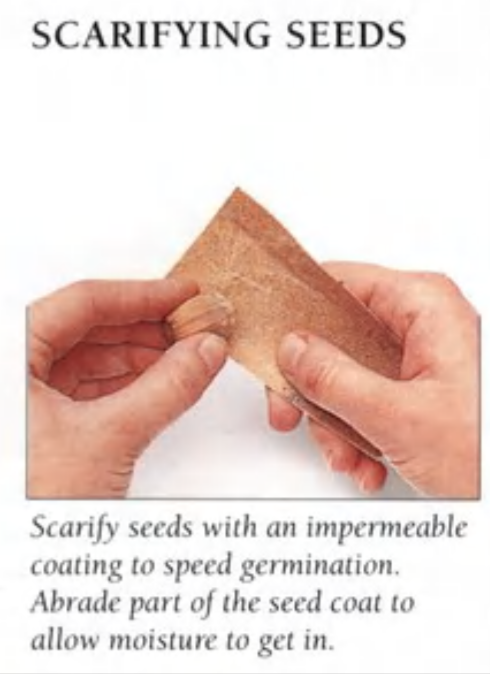 Basically, this means using various techniques to mimic the role nature plays in causing tree seeds to germinate. In this way, you can control when your seeds germinate by initiating the pre-treatment and stratification at precisely the right time. Different plants have different needs, some seeds like warmth, some require cold, and some have to be germinated with light. You have to figure out which ones like what … Luckily, there are numerous resources online to help you with that. The Plants for the Future database has an outline for the propagation of temperate climate plants. Plants for the future database. Another great resource is Backyard Gardener which gives handy advice on what seeds need to germinate. Note what kind of treatment your seeds would need, and for how long they need to be treated. If, for example, you’re planning on planting seeds outside in the spring then timing is important. Just count backwards on your calendar from the day you intend to plant outside. If the seeds need three months of stratification, count backwards 90 days from the day you would like to plant and start treating seeds on that day. Many seeds require one or more treatment steps to stimulate the germination process. These steps include: 1) Scarification, 2) Cold Stratification, and 3) Warm Stratification. Some tree seeds (such as black locust and others in the Fabaceaea family) have hard seed coats that prevent germination until the coat is broken down to admit moisture to the seed. Nature softens the coats of these hard seeds by subjecting the seeds to warm, moist conditions in spring, when bacterial activity is at its height. This is, however, a very slow process and can take up to two years before the outer coating is softened up enough for the seeds to germinate. You want to accelerate that process, and to do this you can use sandpaper or soak the seeds in hot, but not boiling water for up to 48 hours. For this, simply run hot water from the tap and fill a cup, drop your seeds in, and simply let them soak while it cools. Soak for 24 hours first, after that time they should be swollen with absorbed water. Repeat the process if needed for another 24 hours – here is a video explaining the process. Chilling the seeds in the fridge. With cold moist stratification, you’re emulating winter conditions. Here is what I mean, when seeds fall to the ground in autumn they are covered with leaves, snow falls over them and they’re kept moist and cold until the spring – this is exactly what you want to replicate with cold most stratification. By the way, this is the most common technique you’ll be using for your seeds and involves chilling the seeds in refrigerator at 34-41° F 1-5°C. To chill a small number of seeds, soak them in water for 48 hours and allow to drain. Next place your seeds on a paper towel, moisten it with water and fold. Put the moist paper towel in a labelled and sealed plastic bag and refrigerate for 4-20 weeks before sowing. This generally takes an average of 12 weeks, but is dependent upon the species. For larger numbers, store the seed in a plastic bag filled with peat or a mixture of equal parts peat and sand or vermiculite. This should be moist but not wet. You should periodically turn the bag to circulate air and avoid a build up of heat or CO2 released by seeds. 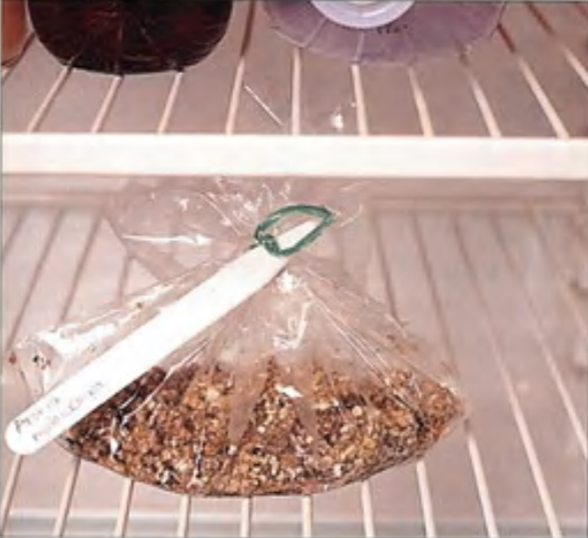 As spring approaches, start checking for germination inside the bags in the fridge. If your seeds start to germinate prematurely, sow them at once. The seeds of some trees, for example hawthorn, lime and mountain ash, require a period of warm stratification prior to cold. They are ‘doubly dormant’ and germinate naturally after 18 months, or in the second spring, after ripening, with only a few seeds germinating in the first spring. The warm stratification stage is designed to replicate the seed’s summer dormancy when it is often imbedded in warm damp soil or mud. For warm stratification, follow the same steps outlined for cold stratification, but place the plastic bag in a warm location at, or slightly above, room temperature of 72 to 86°F, 20-25°C. Keep them warm for up to 12 weeks and then cold stratify in the refrigerator. Occasionally check the seeds for signs of early germination. If the seeds begin to germinate, then plant as normal. While you’re treating the seeds it’s time to prepare your potting mix. Any propagation medium must be moisture retentive but also porous to keep it aerated. It must be sufficiently free draining so it doesn’t become waterlogged, but not so much that the medium dries out. Your seed potting mix should also have a fine texture, to ensure good contact with small seeds. Nonetheless, it generally doesn’t need to contain a large supply of nutrients because the seedlings won’t be left in it for very long. For making this kind of a ‘special’ medium, soil mix is usually preferred, to garden soil, most frequently equal parts peat moss (or substitute coconut coir) and perlite, with a pinch of compost to give seeds something to chew on. You are now ready to sow your pre-treated seeds into individual containers or into seed trays. A rough rule of thumb from Martin Crawford’s book Creating a Forest Garden is that seeds under about 6mm (0.25′′) across are fine to sow in a seed tray, but any larger ones should be sown in a deeper container. This is because the fast-growing taproots on larger seeds can easily get broken when transplanting. Be careful that the seeds are planted at the recommend soil depth. Most seeds should be planted just below the soil surface, at no more than twice their thickness. These tiny seeds don’t contain sufficient energy to dig their way through dense soil, and some actually require light to germinate. That means that the seeds need to be on top of the soil, if you bury them, they’ll sit there forever. Generally, seeds require water, warmth, air, light, and sometimes nutrients to grow. Therefore, after planting your seeds, gently water them and keep them moist but not wet. Maintaining high moisture and relative humidity is critical to germinating seeds. You can increase the humidity by enclosing the seed tray in a closed case, ensuring the vents remain closed until the seeds have germinated. 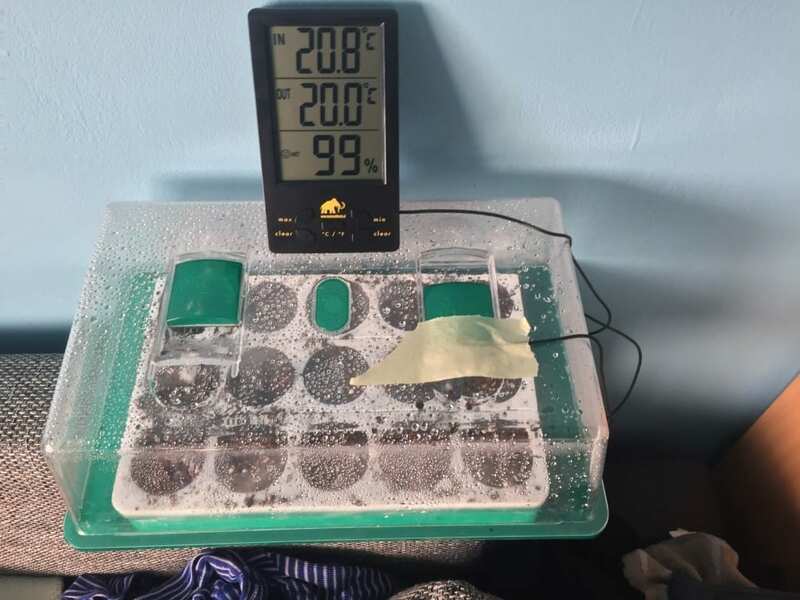 Warmth speeds germination, so try to give your seeds bottom heat of about 21°C (70°F) if you can, although 18°C is a good average for root growth. You can achieve this with heating mats. On this occasion, I ordered one from eBay, but alternatively you could work on a heating bench where the warmth is provided by flexible heating cables embedded in a layer of sand. Keep the trays in a warm but dimly lit location. Germination can be as quick as a few days or as slow as several months, depending on the species and the environmental conditions. Once the seeds germinate, move the seedlings to a brighter location. If you have the setup, place them under the grow lights, where they should be cool and at room temperature. Set the timers to give 12 hours of light and twelve hours of darkness. In the early stages of your seedlings, most of the nutrition will actually be provided by the seeds themselves, at least for the first month or so of growth. 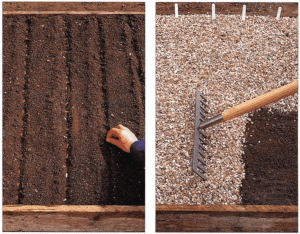 You can even add ½” of compost on top after the young plants get up to 3-4 inches to offer a little extra nutrition while in that growing stage. Your potting soil mix should release nutrients slowly, because you’ll probably need to grow your seedlings for at least a whole season before they become sturdy enough to plant out. To do this, use your seed mix you made before and add a slow-release fertiliser with trace elements to provide a gradual supply over a whole season. Mix in mycorrhizal spores into your seed soil mix and feed your seedlings from time to time with a homemade liquid fertiliser made from nettles and comfrey soaked in water for four to five days. Martin Crawford recommends transplanting tree and shrub seedlings into deep-cell containers called ‘Rootrainers’ because these create an excellent branched root system and prevent any circling roots. I haven’t tried this yet, but they’re in the post! Now you should gradually expose your plants to outside conditions so they can harden off a little before permanently putting them outside to brave the elements. Set the small plants outside in dappled sunlight, sheltered from wind for one to two hours on the first day, and then increase outdoor time by a hour each day. Acclimate plants to sunlight by gradually moving them into a sunnier location after a few days. When to plant on your site? Well, sometimes seeds germinating in the spring establish themselves well and are ready to plant out in the autumn of the same year. However, this is subject to species hardiness and, of course, the weather conditions in a given year. A height of 40-50cm is just about OK for planting out, but at less than this, it would be good idea to grow the plant on for another year. 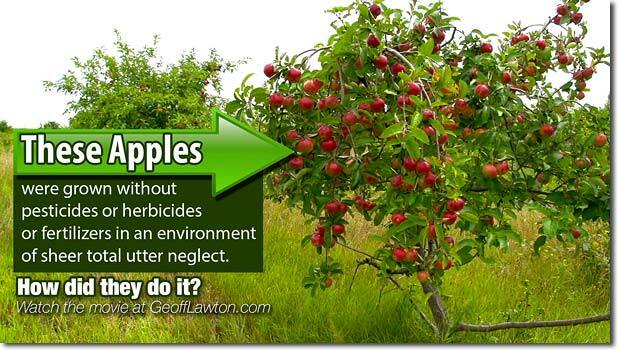 Very small trees are easily swamped by weeds or damaged by pests unless you provide some form of protection. Whether you decide to plant in the first year second, in this step you’re ready to plant the young trees in the desired locations. You can do this by planting way too many, way too close – as per Mark Shepard’s STUN method recommendation – let them grow and then remove the losers. Whew. Congratulations, you made it. 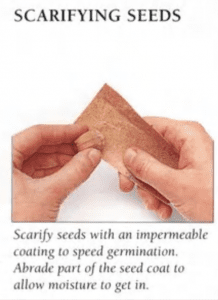 You now know that you basically have two options when growing trees from seed: The natural way, which often includes sowing the seeds in the autumn, or through “assisted” germination, which is initially done indoors. 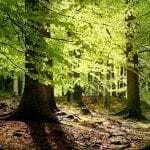 Of course, the easiest way is just to sow outdoors in autumn and let nature take its course, but if you want to be serious about growing your trees, you’ll need to be familiar with both ways. Once you plant your seedlings on your site, you start the development of fruiting plants ideally suited to your local area. This is a lifetime of work, but with great personal rewards. If you have more questions, comments or feedback about how to grow trees from seeds, I would like to hear them. Leave your thoughts below and I promise to find you an answer! WANT TO START A PERMACULTURE FARM IN JUST 5 YEARS? Subscribe to Permaculture Apprentice Newsletter and Get Instant Access to the Free eBook!